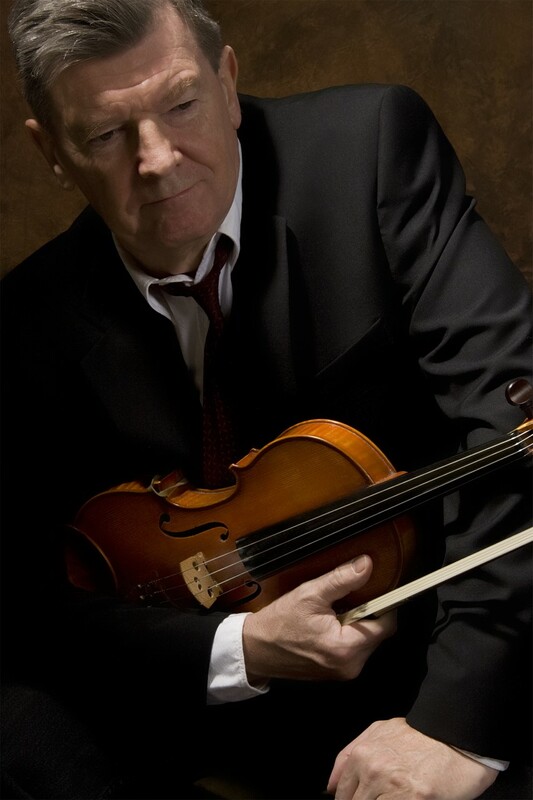 Kevin Burke’s fiddle playing has been at the forefront of traditional music since the 1970’s. His far-reaching solo album, “If the Cap Fits” and his work with such distinguished performers as Arlo Guthrie, Kate Bush, Christy Moore and the Bothy Band established him as a first class musician. Never one to be restricted by geography or genre, his decades long career has seen several innovative collaborations with notable musicians of differing styles - Classical, Old Time, Bluegrass, Pop and Rock as well as the Irish Traditional music for which he is so well known. Some of the eminent players he has worked with are: Grammy winner, singer and instrumentalist Tim O’Brien, Liam O Maonlai, lead singer of the Hothouse Flowers; classical violinists Gilles Apap and Greg Ewer; Old Time favourites, The Foghorn String Band; renowned Irish bands Dervish, Solas and Lunasa and his most recent recording is a collaboration with veteran Rock guitarist John Brennan (Poco, Chris Hillman Band and others). Kevin has earned international acclaim in both Europe and America as a solo performer, a teacher and as a member of some of folk music’s foremost groups including the exciting Celtic Fiddle Festival and Ireland’s long admired and respected Patrick Street. In 2007 he also set up his own record label, “Loftus Music” which soon developed a reputation for excellence in both its musical output and its unique eco-friendly packaging. His contribution to music has received formal acknowledgement on both sides of the Atlantic where he has been the recipient of several awards including Ireland’s “Gradam Ceoil” (Traditional Musician of the Year, 2016), and a National Heritage Fellowship, the USA's highest honor for excellence in the folk and traditional arts. (Previous National Heritage Fellows include B.B. King, Doc Watson, and Bill Monroe.) Kevin has also been honoured by his adopted home state with his induction to the Oregon Music Hall of Fame. In 1980 Kevin settled in the USA and was performing with Bothy Band colleague Micheal O Domhnaill. Their 2 albums, “Promenade” and “Portland”, became, and still are, very influential resources for many traditional musicians. In the mid Eighties Kevin was a founding member of two influential groups, “Open House” and “Patrick Street”, whose recordings and performances were greeted with great acclaim both in Europe and US. In the mid Nineties Kevin was a founding member of yet another successful and enduring traditional group - “The Celtic Fiddle Festival”, this time with Johnny Cunningham from Scotland and Christian Lemaitre from Brittany. Although Kevin has spent much of his life playing in a group context, he has never lost his love for solo fiddle music – the “naked fiddle” as he himself sometimes puts it. This is very evident in his live solo release, “In Concert”, a performance of mostly unaccompanied traditional pieces before an audience in his hometown of Portland, Oregon. Whether solo or accompanied, on record or in concert, Burke is an immensely engaging performer. Comments from the Press: The New York Times describes Kevin as “a superior instrumentalist in any idiom…impressively virtuosic”, The Washington Post writes of his “lyrical style that is always emotionally electric”, and the Irish Times says that “Burke’s fiddling is one of the high spots of the current Irish musical scene”. “Sublime fiddle playing from Burke…each moment, just right” Folk Roots. Don't miss this opportunity to hear Kevin play in the intimate setting of Matt Molloy's Yard Bar. Doors open at 8pm. Tickets will be available on the door on the night.